5 out of 5	The Ultimate Hunting Bow! I had a competitor’s bow prior to purchasing my 2019 Vertix left handed model. This thing is amazing! Dead in the hand and so consistent, the vertix puts them where you aim it. I’m in love with this bow and now Mathews, quality and accuracy is what they do. Quick,quite, smooth what else do you need in a bow!! Shot the mq-1 for more than 20 years ready to finally upgrade!! 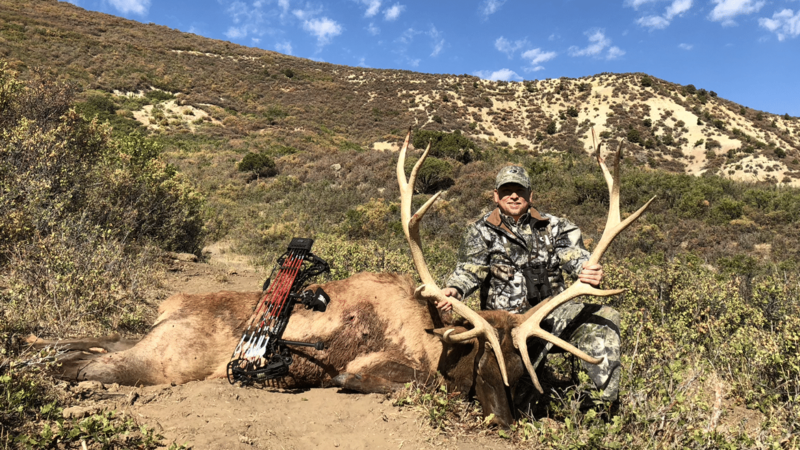 Hi Dan – You might check out a TX-5 at your Local Mathews Retailer. Thanks for the comment! I was waiting for you to put out a bow that could beat the Halon 6 and you did, the Triax. Then I thought how can you beat the Triax, well when the Archery shop sent me a picture of the Vertix and told me the specs, I had to check it out. When I shot it for the 1st time I know it would be the one for the remaining of the rut for me. Simply amazing. You built it just for me. Went by my preferred Mathews dealer today when the Vertix came out and was absolutely floored at how quiet the bow was. I shoot a Halon 6 and didn’t purchase a Triax last dear due to not trying to keep up with the Jones’s. I truly feel that this bow is nothing short of amazing and I will be forced to purchase one of my own this week. Thank you Mathews for stepping up your game yet again. Just shot the vertix today very impressive. I was lucky enough to be able to Purchase this bow. Can’t say enough how Smooth and quiet it is. Mathews has out done there self again bring a great product to the market. It seems to be the ultimate hunting bow for all game!! 5 out of 5	Leading the way! 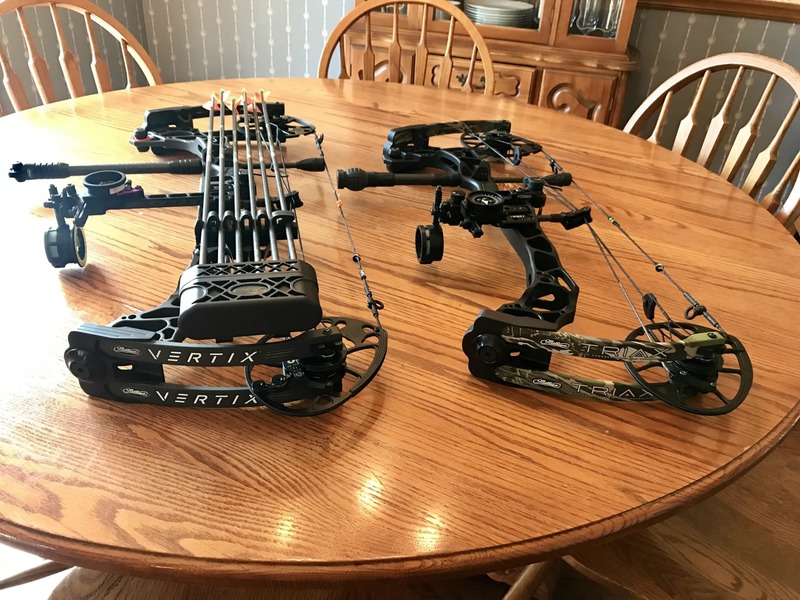 Mathews has been improving their bows consistently over the years while other companies have struggled to come out with new things and have simply recycled old technology calling it “new”. I have shot a lot of bows and I can’t wait to shoot this one. Might be a good reason to switch from the Halon. I spent better than three hours at the shop, and shot everything they had to offer. The Mathews Vertix was the clear winner! I shot everything from a Bear Kuma to Hoyt RX3 Carbon. Nothing compared to the Vertix. From the second your hand hits the grip to the second you release that first arrow the Vertix is an experience all it’s own. Don’t take my word for it…put a Vertix in your hand and feel the difference for yourself. If you don’t own it at the time…you will. Cheers! Went to my local bow shop and shot Mathews and Hoyts. I shot all the Mathews first and then picked up a Hoyt. Mathews by a long shot. I bought the Vertix and its the best bow I have ever shot. Super quiet and very smooth draw. Mathews makes an outstanding bow which outperforms all competitors. Mathews you did it again this year. 5 out of 5	Awesome!! Just bought the Vertix with 70lb mods. Couldn’t be happier! Sub zero vibration!! Mathews have outdone themselves with this Bow. This thing is unbelievably forgiving and easy to shoot. Fast and smooooth. Amazing engineering. If Mathews were in charge of the space programme we’d be growing corn on Mars right now! Just got my bow in. After a few practice rounds, I know why it is so popular. This bow is well balanced and VERY smooth. There is Alot that can be said for how whisper quiet it is. 5 out of 5	Above and beyond all expectations. I have been looking for an upgrade from my Bear Wild for almost a year now, and found myself at my local Mathews dealer. After shooting the Vertix I knew I found the bow for me. After getting it all set up I went out to sight it in and didn’t even need to adjust my sight. Arrow after arrow hit my targets without so much as a sound and the Vertix was completely dead in the hand. This is the second bow I’ve only owned, and Mathews has a new customer for life. Just got my new Vertix and I am blown away. Smooth to draw, Great wall, Rock solid, no hand shock. This bow is gonna be a killer. The Vertix is a great bow to shoot. The draw is smooth and the silence of the shot is unbelievable. It is a pleasure to draw and shoot shot after shot. You can’t go wrong with this bow. 5 out of 5	One shot and bought ! As a long time mathews owner / shooter I stepped away from the brand a few years back. My son purchased the triax and as I stood by watching him shoot I immediately noticed how quiet this bow was. He offered many times for me to “take a shot” as I declined knowing what could happen …. Along came the vertix !! A short drive to my local pro shop I picked up the vertix and one shot is all it took. This is a rock solid, super smooth, fast but silent bow. I shoot daily and this thing never disappoints. Great job mathews on building possibly the best bow on the planet. release, and very minimal vibration got me hooked. Quality is second to none and it continues to impress me with the consistency the bow brings to practice shooting and in the field. I bought the Halon 6 and thought it would be years until I got a new bow! I loved my Halon, but curiosity got to me and I went and shot the new Vertix just wanting to see what it was like! WOW! Simply put it is the best bow I have ever shot! The new grip allowed me to consistently find the sweet spot with every arrow! The draw is smooth, comfortable, and it felt as tho I could hold it there for hours! The release is quick, silent, and there is not even the slightest hint of vibration! This bow could give any new or seasoned hunter the confidence to be consistent and deadly accurate in any conditions on any hunt! I ordered one and can’t wait to sling arrows with it soon! I was deciding between 3 bows Hoyt, Mathews, and Obsession and man the Mathews Vertix is dead in the hand and super quiet it only took 5 shots and I knew it was the one, Mathews always seems to surprise me each year with better and better bows. 5 out of 5	Best bow I’ve ever shot! I shot the Mathews Vertix several times before I ordered one along with every other 2019 flagship bow from every brand imaginable. By far this is the best bow that I’ve ever laid my hands on the innovations are not only mind blowing but together form the most comfortable and shootable bow that I have ever laid my hands on. In my personal opinion this is the best bow ever designed its as much of a game changer as the switchback was and then some. Perfection…. 5 out of 5	Wow! The proof is in the pudding! Just bought my vertex yesterday. It’s like shooting a whisper with the impact of a lightning bolt. I was shooting Bear for my whole life I made the jump yesterday. Everything on it is engendered to perfection. I almost have to relearn how to shoot because it shoots so clean. Couldn’t be happier with the upgrade. Looking forward to the hunts this year in AZ! 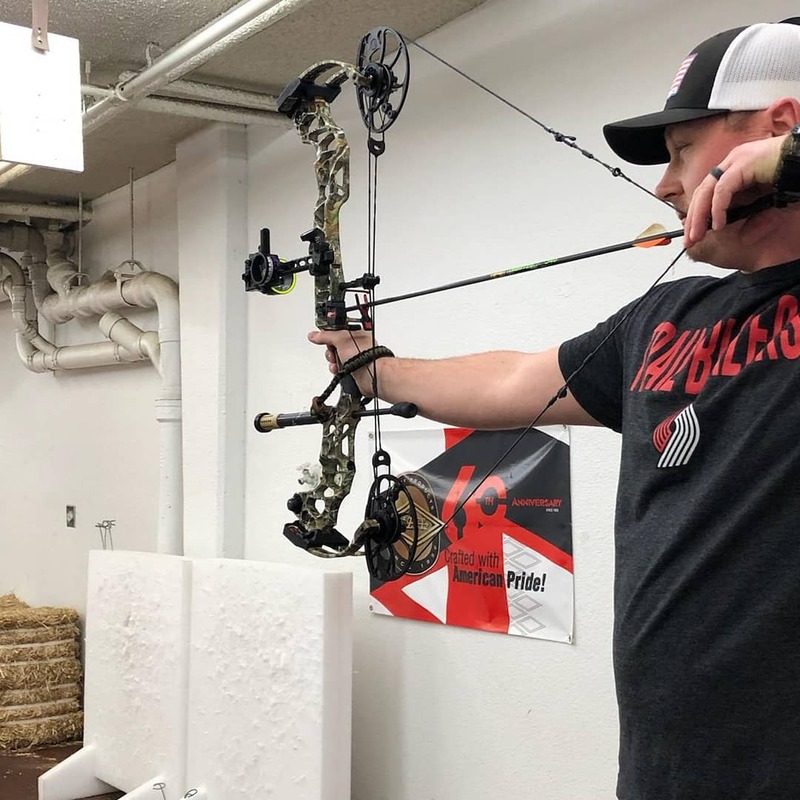 I stopped in at the local archery shop and tested it out. Smooth draw, smooth shot, and no vibration. I was absolutely blown away. This will definitely be my next bow! 5 out of 5	No one catches Mathews!!!! Smoothest draw, absolutely dead in the hand, easy to tune, and now a grip that surpasses all others. I had a Halon 6 before shooting the Vertix, and I always said Mathews couldn’t design a bow that would be worth upgrading from my Halon. Y’all proved me wrong. Keep raising the bar Mathews. Keep raising the bar, because no one is going to catch you. 5 out of 5	The VERTIX is the best hunting bow I'ver ever shot! Since Mathews inception in 1992, I’ve shot nearly every bow they have produced. The VERTIX is the most balanced, quietest, and best shooting bow I’ve had in my hands. There is no vibration and the new Engage grip is hands down the most comfortable I’ve felt. Mathews has perfected a bow not only with comfort but also speed. Can’t wait to get in the woods with it! 5 out of 5	2-3 shots and purchased! Was looking to upgrade to the Mathews platform, and was pretty set on the Triax, but my local deal said hold out till this week to my my final decision. Shot the vertix 2-3 times and starting building my new platform. Such a dead in the hand bow that is dead accurate. Only negative I can say is that my dealer said 3-4 weeks for my camo pattern! Can’t wait to have mine finally in my hands!! Mathews hit it out of the park! Perfect balance and dead in the hands. Best grip ever!!!! When I went to my local pro shop and shot the triax I thought there was no way they wpuld be able to top this amazingly smooth dead in the hand bow but then they came out with the Vertix. The shop called to let me know they had just gotten one in if I wanted to try it out so I went down there and immediately decided I was getting it with transfering everything that made the Triax a great bow and incorporating it into the Vertix but adding a 30″ ATA and of course the new technology and grip you just simply cannot get a better bow then what Mathews has done this year. If you haven’t already gone out to your local pro shop you need to this bow is worth a shot and if youre like me you most likely will be walking out with one. Well done Mathews! I have the triax and love the bow, most people were not a big fan of the 28” axel to axel but it didn’t bother me. I recently just shot the vertix and after shooting it I knew I had to have it. I didn’t think their was any way it would be quieter and have less vibration than my triax, I was wrong. The grip totally changes the feel of the bow in your hand and fits perfect. This is my 6th Mathews bow and can’t see ever shooting anything else. 5 out of 5	Just went to test the bow before I buy a bow. The let off is awesome and for someone that hunts different game it will be easy to change the draw weight by changing the mod. 5 out of 5	Great Bow! I had just bought the Triax back in March and LOVED it. Reason I say “loved” is I tried the Vertix at my local pro shop and was amazed. I wanted the Triax in a heavier draw option due to having a short draw length so when the Vertix was released I was intrigued! Well I sold the Triax and now own the Vertix after trying the Vertix and it is amazingly smooth and comfortable. I would say its the Triax on roids! I was a huge fan of the Halon but due to limited funds it just wasn’t the right time to invest in a new bow. I read and watched every review I could about the Vertix and when I walked into my dealer and shot the first arrow I knew I was leaving with one. I liked the quietness of the Triax but 28 ata wasn’t for me. The Vertix is just as quiet and has even more features that I like over the Halon. I believe the Vertix was worth the wait. 5 out of 5	Nothing less than perfection. Purchased early November, and straight out of the box this thing was slinging. An amazing bow with no compromise. I would highly suggest taking this out over any other competition. 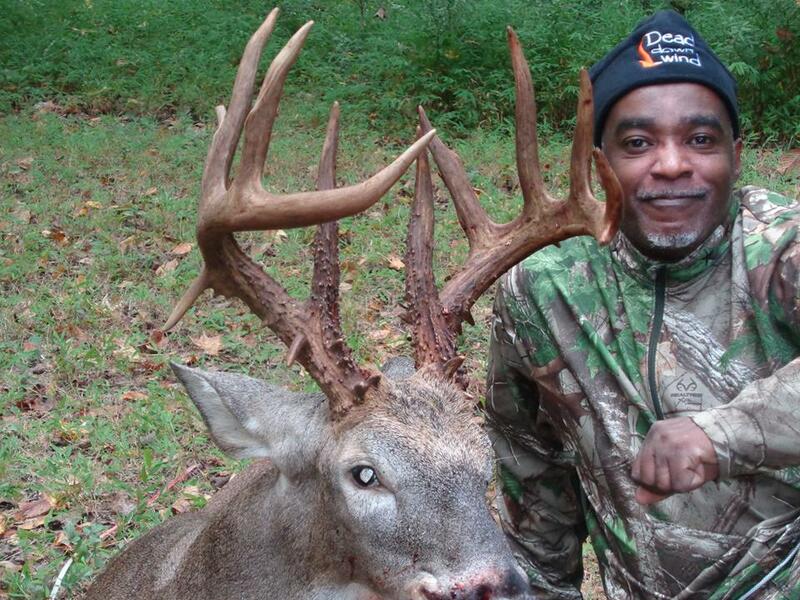 Mathews created the Zeus of bows ! 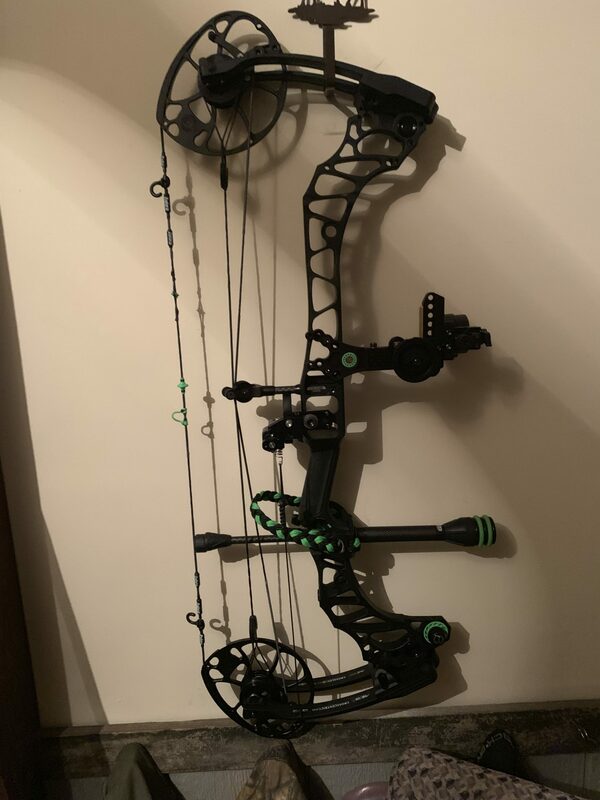 This is my first Mathews purchase, and I couldn’t be happier with it. It is superbly balanced, whisper quiet and a fantastic shooter. This bow will be with me for years to come. I am 13 and I pull 60 pounds. I was going to buy a Rx-3 then I shot a Vertix and it completely changed my mind. I got it today and it shoots so smooth. 5 out of 5	best bow u will ever shot ! by far the best bow i ever shot!